Explore the muck and magic of plants. Growing things isn’t just for grown-ups. 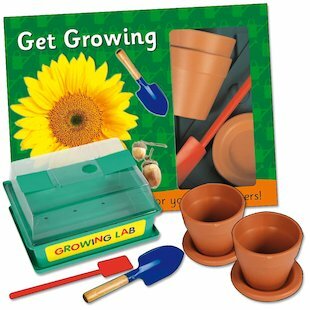 Put out some green shoots of your own with this cool planting kit for kids. It’s got all the bits and pieces you need to get started: instructions, two mini plant pots and saucers, a mini trowel, even a plastic growing lab. Just follow the simple instructions to start sowing and growing. Great for windowsills, balconies and gardens.